Scientists using a European space telescope have created the best map yet of our Milky Way galaxy's magnetic field, a set of cosmic "fingerprints" that may lead to better understanding of how stars form. The magnetic map of the Milky Way was stitched together from data collected by the European Space Agency's Planck space observatory. 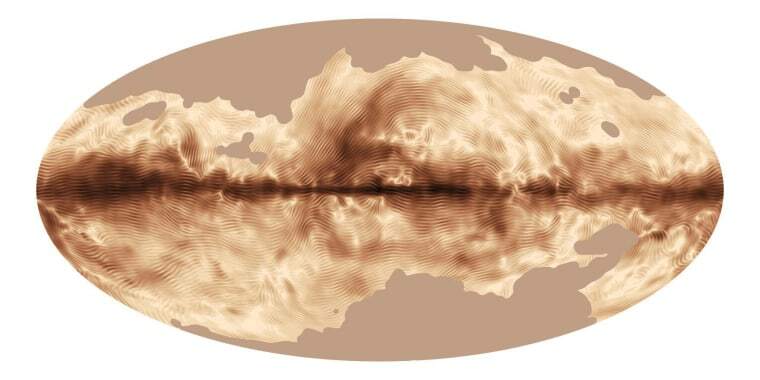 The Planck map shows how specially oriented polarized light is emitted from interstellar dust. Traveling as waves in electric and magnetic fields, light vibrates in directions at right angles to the direction it travels. In most cases, the fields vibrate in all directions. However, if something affects the light and causes it to vibrate preferentially in certain directions, it becomes polarized. The image also reveals variations in polarization by nearby objects, such as clouds of gas and dust. Planck's study of the galactic polarization is analyzed in four papers recently submitted to the journal Astronomy & Astrophysics. This is a condensed version of a report from Space.com. Read the full report. Follow Space.com on Twitter, Facebook and Google+.